Family photos are a part of the wedding that I find many couples have tons of questions about as we plan their photography timeline. It’s understandable. 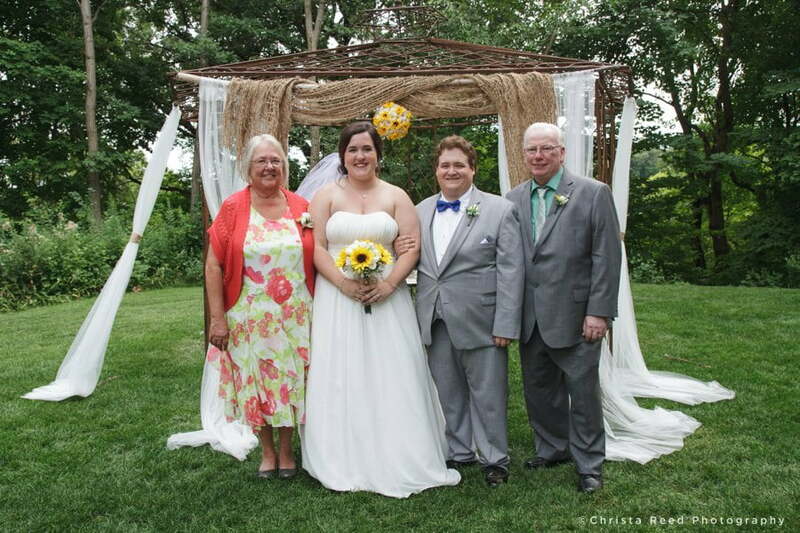 Your wedding is one time in your life where a lot of close family members are gathered. With this usually comes a little bit of nervousness on your part. How are we going to get all your family members together for family photos at your wedding? There are several things we can do as we plan to make sure the family photos at your wedding are successful. Pick one time and one location for all family photos at your wedding. Picking one time and one place for family pictures makes them as simple as possible. This makes sure we have everyone we need in the photos present. It eliminates the confusion of who needs to be where and when. Everyone can arrive at one location, at the same time. I am able to go through my pose flow for family wedding photos without skipping around and forgetting anyone. We can pick one beautiful location with gorgeous natural light, or use a speed-light to make our own awesome light. Your family photos will look put together because we aren’t juggling multiple locations, multiple lighting set ups, or missing people. 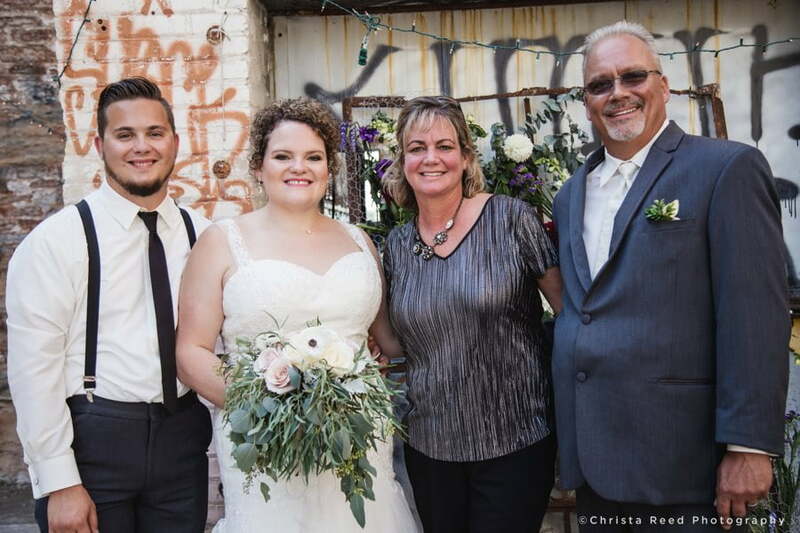 Plan family photos at your wedding in advance. At our final planning meeting about 1 month before the wedding we have a chance to go over the family photos. By this time you will (hopefully) know which family members are attending your wedding. We will go down my pose list, I’ll cross out any family groupings we don’t need, add in any special people not covered on my list, and be as organized as we can be. Spread the news before your wedding day. Contact everyone in family photos and let them know your plans for the wedding day. You can ell them to arrive at the family photo location 10 minutes earlier than they actually need to be there. This means anyone running 10 minutes late to family photos at your wedding will still be on time. Pick an organized person to be your people wrangler for family photos. Pick someone who can communicate with all family members during the wedding day. This could be your personal attendant, a family member, or another close friend who knows your family well. Some couples like to have their wedding day coordinator handle the task. You and I will pick the best time and place for pictures before the wedding. The organized person you pick will handle getting all family members to our location. I will handle grouping and posing everyone. 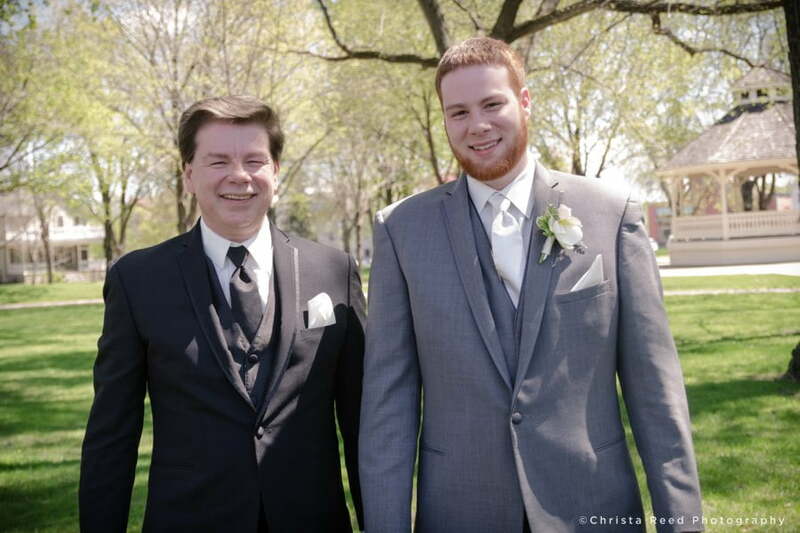 Shakopee wedding at Huber Park. If you have kids in the wedding party it’s best to do all pictures with them in first. If You Want To Do The “Everybody” Photo, we will need to plan for this. 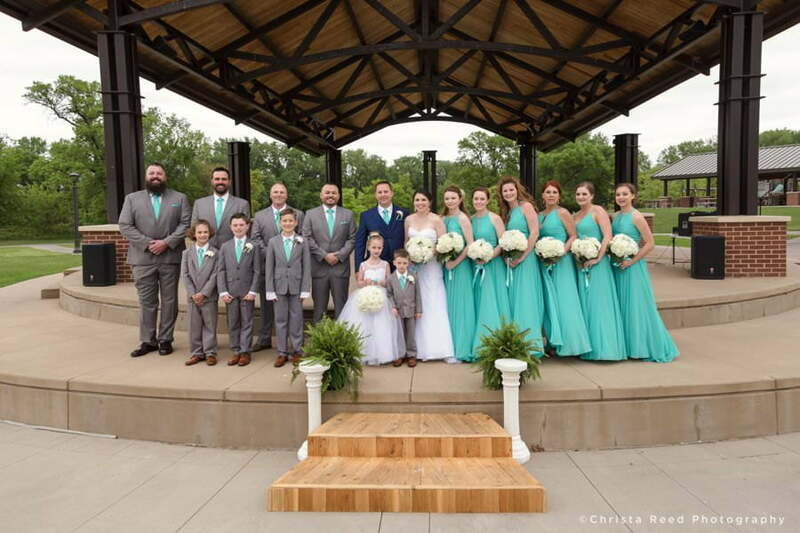 Some couples like to have every single family member or wedding guest in one giant group picture. This is awesome! This also takes an additional 20-30 minutes of time to accomplish. If you want lots of people in a giant group photo, you need to make sure they ALL know that the photo will be happening, so they all show up for it. 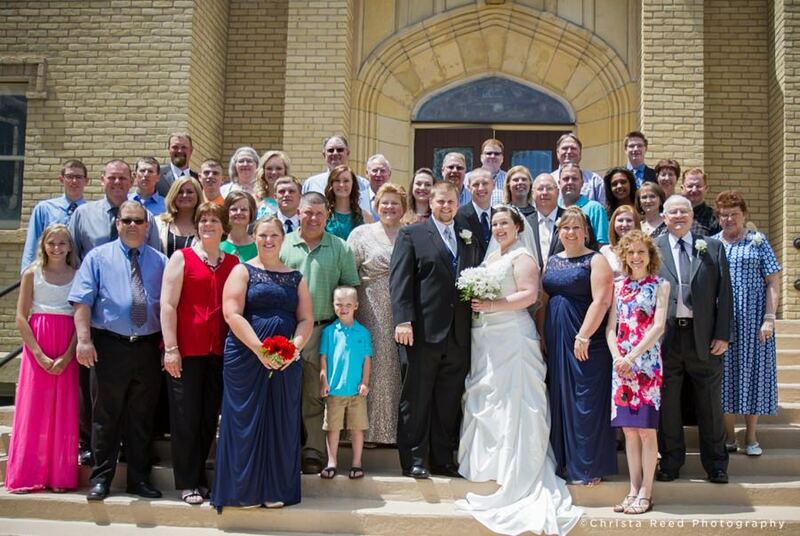 Large Family Group Portrait at St. John’s Church in Belle Plaine, MN. I’m a Belle Plaine Minnesota Wedding Photographer. I travel through out the state celebrating weddings through photography with my clients. If you’re interested in working together, send me an email to set up your personal consultation.